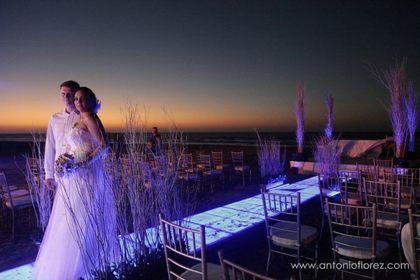 Adriana Santos ha sido por excelencia la empresa de catering preferida de Cartagena de Indias, con más de 20 años de experiencia nos hemos especializado en hacer el evento de tus sueños una realidad, creando un agradable ambiente, una comida inigualable y diseñando los mejores escenarios con profesionalidad y máxima perfección. 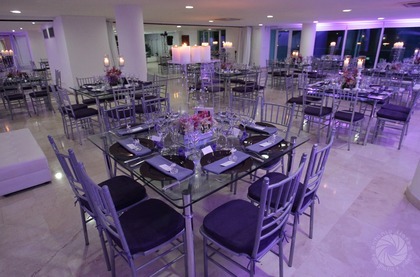 También atendemos eventos y reuniones empresariales, y todo tipo de eventos sociales. 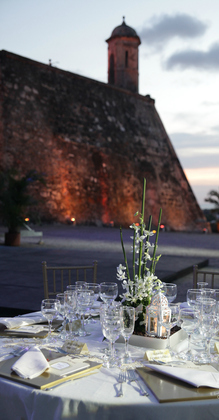 Adriana Santos Eventos is the preferred catering company of Cartagena de Indias. During our 20 years of experience, we have master the art of making your dream event a reality by creating a superb ambiance, memorable dishes and designing the best scenario to highlight your important date. Our professionalism and search for excellence has earned us a stellar reputation and a loyal and diverse clientele. We cater all types of business, and social events regardless of the size. Let us make your event a special one! In the beginning stages of our wedding planning we didn't know which caterer to hire for our wedding but our wedding planner mentioned Adriana Santos and most of the reviews on wedding mapper insisted that Adriana Santos was the best caterer in town and boy were they right! Last August we had our degustation tasting with Adriana Santos which pretty much was the highlight of our entire trip (besides dessert tasting with Elsy). 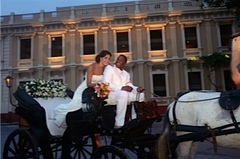 My fiancé and I knew we wanted to incorporate the local flavors of Cartagena. Everything Adriana Santos presented at the tasting was phenomenal making it difficult for us to narrow it down to 3 entrée choices. Finally, we decided on a sea bass, chicken (Peruvian style) and Filet Mignon entrées. Of course we had local flavors of coconut rice to go along with the sea bass, prawns in a sweet and sour coconut sauce as a starter and the traditional ceviche de pescado shots as one of our cocktail hour treats. Our amazing signature drinks included the famous "Limonada de Coco" (coconut milk lemonade), passion fruit mojito and my favorite "Atardecer" which is a tangerine martini that kept me going all night. To end a perfect evening we decided to give our guests one last treat "menu de media noche" (midnight menu). After a couple of hours of non-stop booze and dancing there's nothing better than eating traditional fried food! Carimañolas, arepa de huevo, chicharron, empanadas,and yuca frita. As for the linens and flatware, Adriana Santos was also great! She was so patient with me because up to one week before my wedding I could not decide on the linens; she patiently provided us with many options until my wedding planner and Adriana Santos combined two linens to make the perfect tablescape. I also insisted on having gold-toned flatware since my main color at my wedding was gold. Adriana Santos did not have gold toned flatware, but lucky for me she got a set a week before my wedding and gave us a good deal. 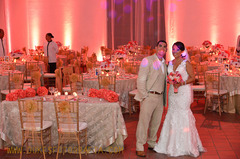 We highly recommend Adriana Santos, she is very professional, her staff went above and beyond for us and our guests. My fiancé especially loved the fact that he had his own personal waiter following him throughout the night refilling his glass with ice and whiskey lol. Adriana Santos is top notch in food and service. Go for it! you won't be disappointed. Adriana's good buffets are out of this world! We had the Peruvian, French and Italian stations at our wedding and we were extremely pleased at how everything turned out. Every single dish was well seasoned and tasted gourmet. This was definitely not "typical" wedding food and our guest were raving that some of the dishes were the best they ever had ( the duck especially). I would recommend Adriana in a heart beat for any and ALL events! Our wedding was much more fantastic than we ever expected! My fiancée and I had very clear ideas about what we wanted, and Adriana and her team were very receptive to our ideas and suggestions. The planning process was easy and enjoyable. I appreciate Adriana's team capacity to bring different providers together, and coordinate all of them. I highly recommend Adriana's services (particularly the food and the carrito de raspaos!). Our degustation tasting with Adriana was one of the highlights of our week. Truly amazing dishes. Our guests still can't get over it. 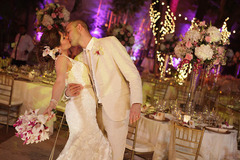 As our wedding planner and catering vendor Adriana Santos exceeded my expectations. The food was AMAZING. My friends and family haven´t stop talking about how good it was. Maria Isabel her assistant was also very diligent and friendly. Everything Adriana recomended, the sound and lighting, the quartet for the ceremony , the decoration, the bands etc.. was very classy, professional and with reasonable prices. All our guests kept on and on about how delicious and diverse the food was. Also, they managed to keep it warm, just a perfect temperature which is rare at weddings. The quality of Adriana and her team's job is outstanding and top class. Adriana's service was incredible. She went above and beyond to add details that made our wedding even more special. The food was AMAZING and the service even better! All of our friends and family have commented on how they were all on first name basis with their servers and how impressed they all were. GRACIAS ADRIANA for all your suggestions and additions!!!!! 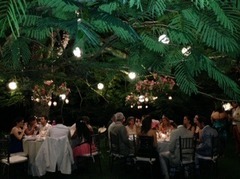 Claudia and Adriana from Adriana Santos Mora Catering & Eventos were amazing!! 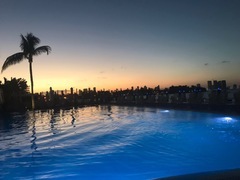 Our guests are still raving about the food (sea bass in coconut sauce, pistachio stuffed mushrooms, mid-night sancocho, etc, everything was great! ), and the beautiful displays. They provide tables, chairs, utensils, they provide it all. True professional and masters of their art. We were very pleased with Adriana Santos, they gave us a great package deal which included a sit down dinner with three meal options the guest could choose from (including a vegetarian option) they also provided all the linens and dinnerware of our choice. (She has a great variety to choose from) and because we opted to do the desserts with her, she gave us even a better deal. Most importantly the food was delicious!! Everyone kept on talking about how exotic it was and the presentation was impeccable. Her servers were very friendly and professional on their job. We choose to have signature cocktails throughout the night and the barman did them just perfect. ( You have to try “la limonada de coco” yum!!! Everybody RAVED about the food. Best food they have ever had at a wedding. Adriana ROCKS! The food was INCREDIBLE!!!! All of our guests did not stop talking about how delicious the food was. We had a buffet of Colombian and Peruvian food (our heritage) and it was exquisite! Not only was the food delicious but the service was incomparable! There was a waiter for each table that was attentive to anything you needed for the entire 8 hour reception. It was incredible. 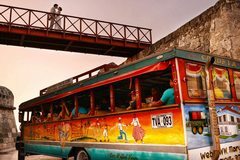 If you live in the USA (like we do), there is no kind of service that compares to the kind we had in Cartagena! 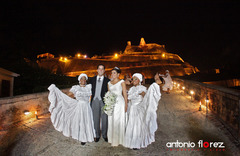 Adriana Santos, another well known vendor in Cartagena, helped us with our catering needs. The food was great and we had several opportunities to do tastings and provide feedback that she incorporated into the food. 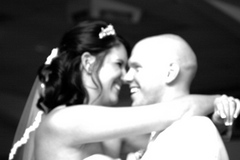 She was very open to trying new things and used our chimichurri recipe to add a personal touch to the reception menu. We also got a lot of additional services from her including tables and chairs, the silverware and linens, bartenders, and the supplies for the cocktail hour drinks. A lot of what she provided was all included in the price and it was refreshing to not have to worry about multiple vendors for some of these items. 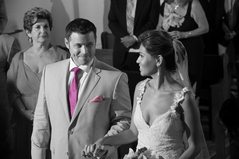 Overall, our guests loved the food and this was one of our key must haves in our wedding. I cannot express how happy we were with the food prepared by Adriana Santos for my wedding. My friends and family are still talking about the quality of her food. The food was delicious and amazing- all plates were presented beautifully. Adriana Santos was great with all our changes and working with us to find a menu and price that was reasonable. 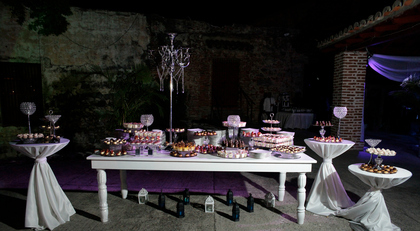 We were very impressed by the food when our big day arrived! 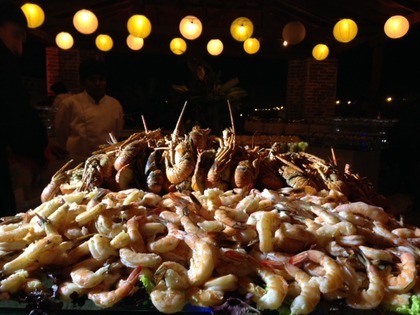 The appetizers were terrific especially "Los Fritos Cartageneros". OMG everything was super great! 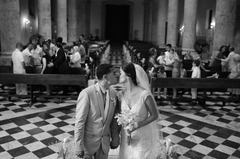 Again, Adriana helped us out, everything went very smoothly and wonderful. I didn't have to worry about anything, and all the servers were super friendly and all my guest were taken care. 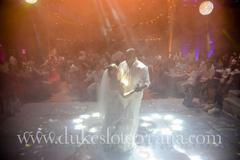 Everyone had a great time thanks to the staff and the services of Adriana Santos. 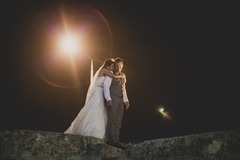 I had to give Adriana Santos many stars because of the happiness of our guests and overall wonderful quality of service, the food truly made both of our weddings that much more enjoyable and obviously still talked about by many that we know! That being said, I would 100% recommend Food For Adriana Santos because from the beginning her service, quality of food, and presentation was perfect. Overall, this was an extremely positive experience and I trust anyone who uses Adriana Santos will have a positive experience as well! Adriana Santos'food is simply spectacular. Everyone enjoyed and complimented the food. I highly recommend this company. The food is excellent, service was great and the presentation was beautiful. Adriana stayed all night long to make sure everything went according to plan. Adriana is a spectacular caterer! The food was superb and the he presentation was perfection! 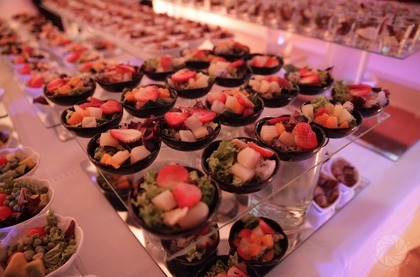 All my guests said they have never been to a wedding with such incredible tasting food! Awesome food and we found the cost appropriate for the service. Our planner negotiated a great deal. Adriana Santos' menu for our wedding was stellar. The food was so delicious! The presentation was excellent. Adriana worked to give us everything we wanted (including vegetarian options) She was incredibly patient and responded immediately to all of our questions. 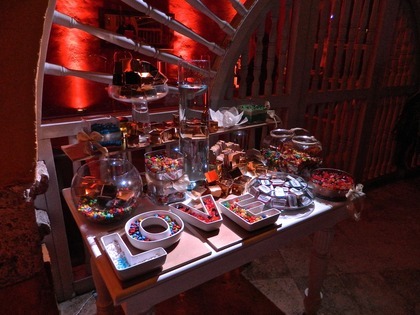 She also followed our request to set up a candy buffet! Her assistant Claudia was also amazing. 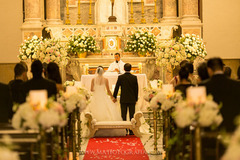 She went beyond the call of duty on our wedding day to make everything come together beautifully. 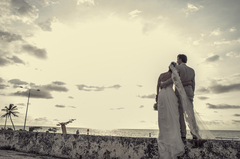 Adriana and Claudia are definitely two people you want to have in charge of your wedding menu! Adriana was the caterer for our wedding. Not only was the food amazing, the presentation was beautiful. She has so many options to choose from and they are all delicious. The prices are also extremely reasonable for the amount of food and the excellent quality. Adriana's food was AMAZING!!! 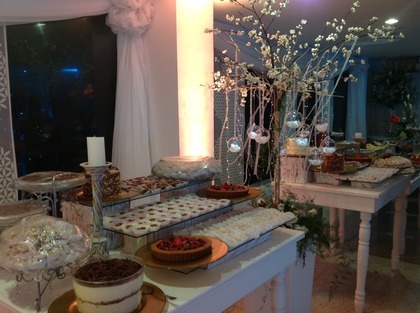 All the gests commented about how beautiful was the food and how well presented was the buffet. 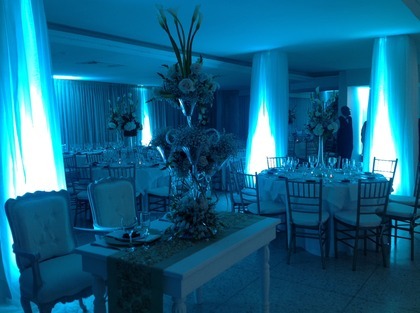 The decoration was also beauiful, very organise and creative!! Our guests really enjoyed the food. 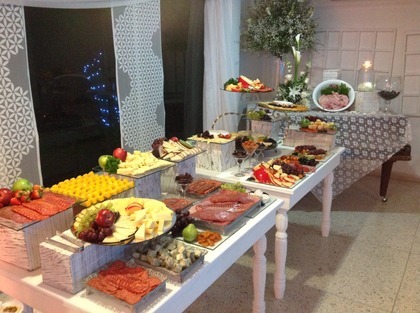 We did buffet-style and it was very affordable in comparison to other rates from other vendors. The wait staff was A+, very attentive.